Blue Dot Display has been providing a reliable and professional large format printing service in the South East of England for over fifteen years. 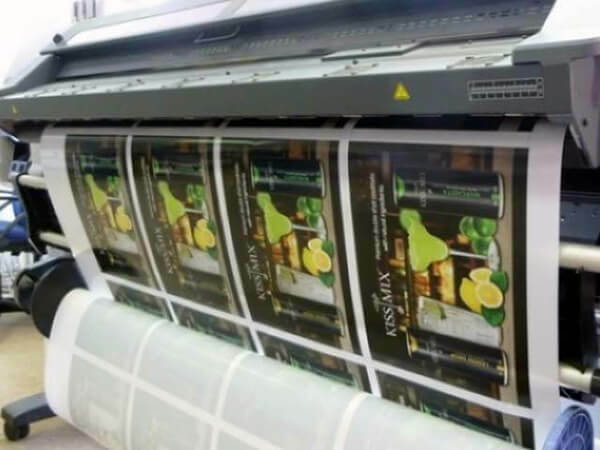 We offer a range of first class printing services at a competitive rate designed to cover almost every large format printing requirement you may have. No job is too large and no job is too small for us to take on and we will always make sure you'll get a fast and high quality service from initial consultation through to installation. Every Single one of our signage products is meticulously manufactured to exacting standards using the latest and best in machinery and materials. This will ensure they stand the test of time no matter what the application. We also offer our services at a very competitive rate because at Blue Dot we understand about business and the current economic climate and know that our customers want good value for money. Blue Dot Display is well known in this region as a leading printing company and its portable display stand service. 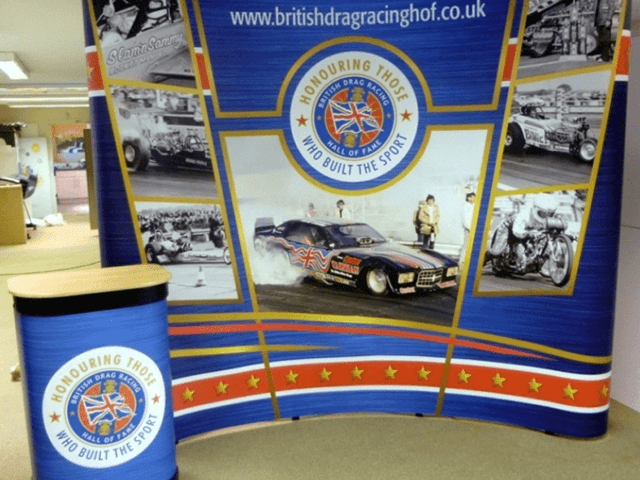 We supply a full range of portable display stands for both indoors and outdoors. They provide an extremely effective way of advertising your business, event etc. They're also very versatile because they can be used in any type of advertising situation you wish. 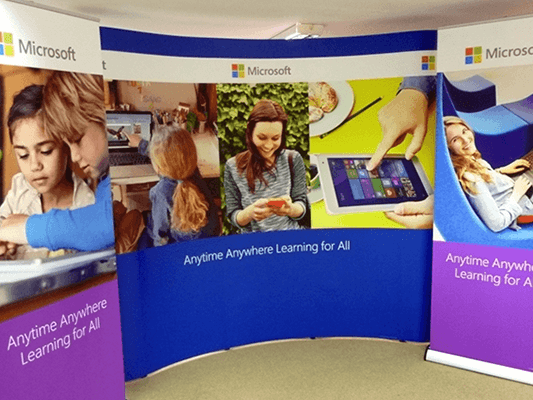 Blue Dot is able to design and manufacture portable display stands in a wide range of sizes, formats and materials to suit your requirements including your budget and what's more without compromising on the quality. 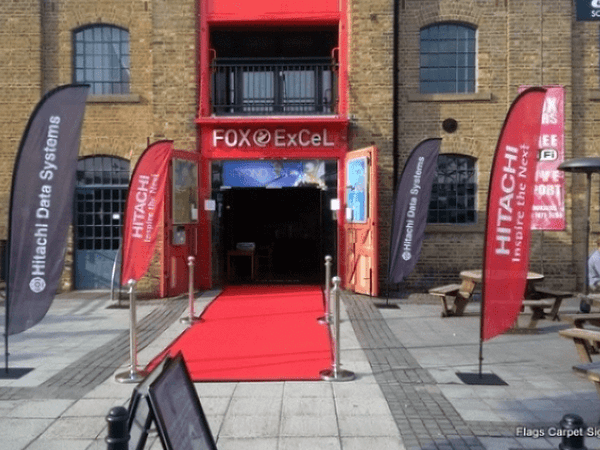 From roller, pop up, pavement, flags and monsoons to outdoor banner stands, vector stands and free standing stands Blue Dot is able to design and manufacture a wide range of portable display stand products so why not get in touch to find out more. 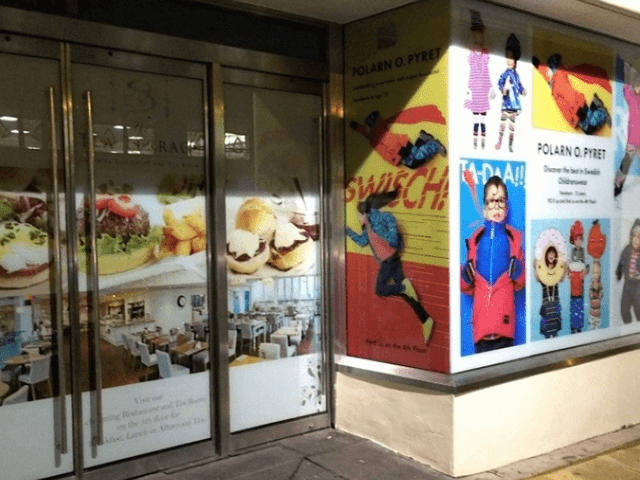 As a highly skilled commercial large format printing company Blue Dot Display is able to print onto a wide range of surfaces which can be mounted onto foamex, acrylic, dibond and MDF. 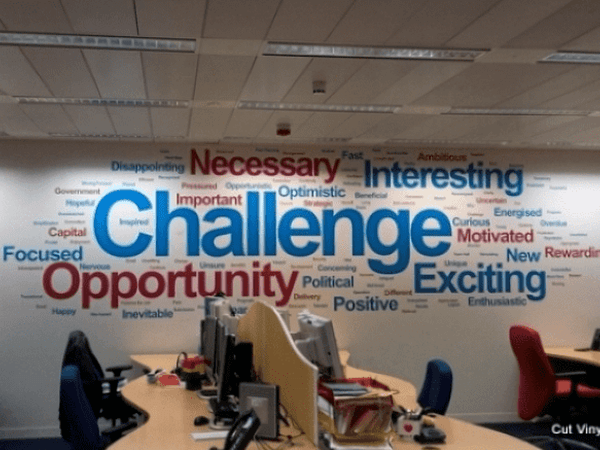 We are able to print posters, banners, canvas and self-adhesive vinyl using a range of different materials. If you require a banner or poster or other form of temporary signage then please contact us today. As experts in this field Blue Dot Display is able to work with you to help maximise the impact of your exhibition, event or conference. 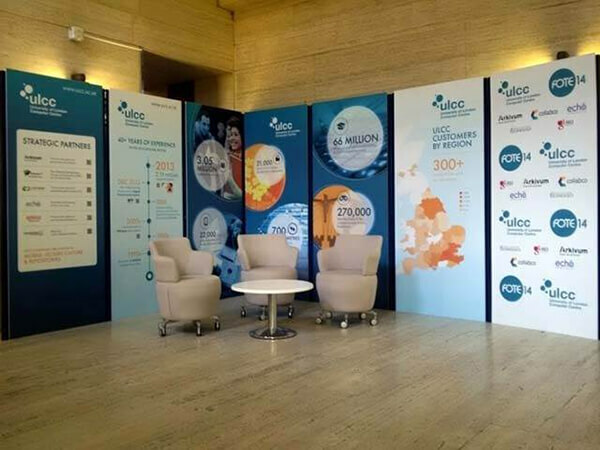 We specialise in simple and easy to use modular portable exhibition display stands, furniture and equipment. No task is too big or small for us to undertake and we will always endeavour to get you signage products to you as quickly as possible. 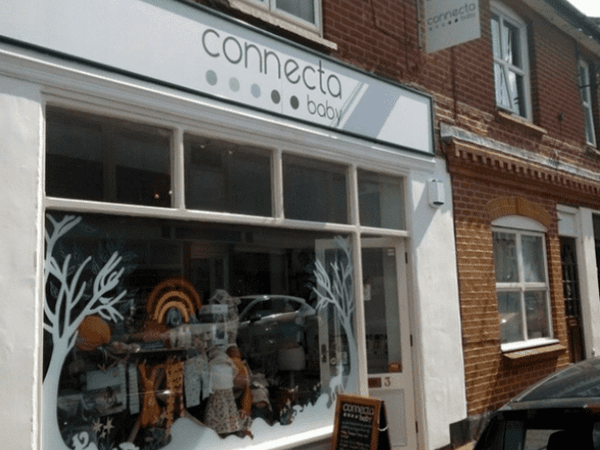 We display and fit signs to shops, schools and offices all over Sussex, Hampshire and Surrey as well as all over the UK to cover contracts for a number of national companies. 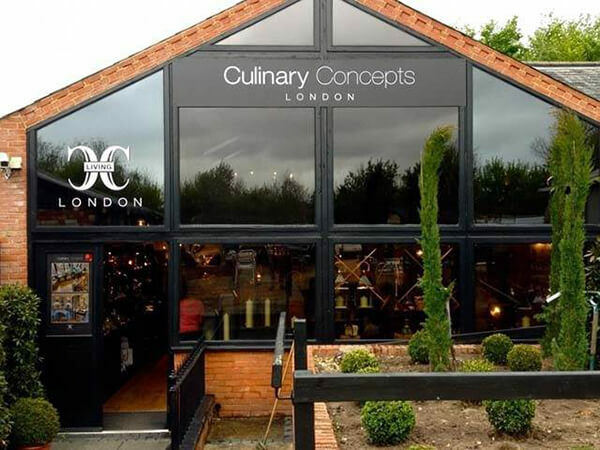 Whatever your requirements are Blue Dot Display will work alongside you to create the right signage for your premises. Blue Dot Display offers a one stop shop for all of your business printing needs. Both short run digital print and litho printing available including leaflet printing, flyer printing, brochure printing, booklet printing, business card printing, folder printing, menu printing, stationary printing and much more. Blue Dot Display also offers a range of special offers on our website so to find out more please get in touch. This is by no means a complete list of all of the printing services Blue Dot Display is able to provide so if you would like to find out more please head over to our website or get in touch, thank you. Your prompt service is of course much appreciated. Thank you so much, Adrian. They are great and just what I needed! I have enjoyed working with you and always knew I could count on you to deliver a quality product, on time and at a reasonable price. We love it and the quality is amazing. Many thanks for doing this so quickly! It looks great. 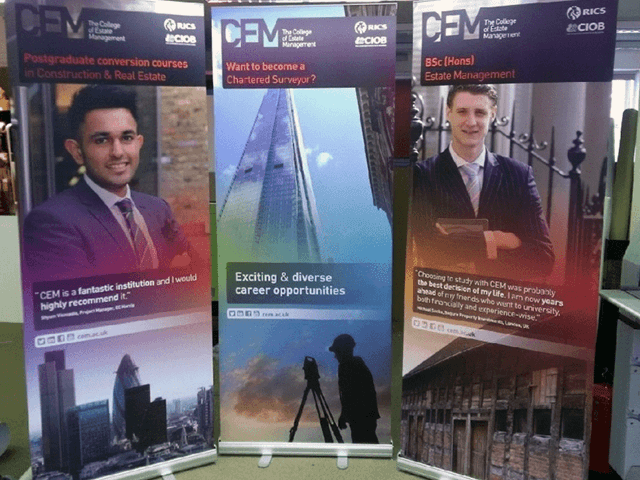 Thanks for the pop up banners – they look fab. Once again I would like to say how pleased we are with the banners. Can't wait to use them!